Property tax accounting rules help an individual or a corporation gauge amounts of taxes due to federal, state or local revenue agencies. A property tax accountant typically helps a company record and report fiscal liabilities in accordance with the Internal Revenue Service (IRS) guidelines, local regulations and financial accounting standards. A property is a fixed asset and may be land, a house, furniture or equipment. In practice, a corporate property tax accountant focuses only on the firm's real-estate assets. Property tax is a fee that a government agency levies on property. For example, an investment bank builds its global headquarters in Colorado and owns other branches in New York and California. The bank may have to pay property taxes to the federal government as well as Colorado, New York and California. Generally accepted accounting principles (GAAP) require a company or a property owner to record fiscal liabilities when they become due. For instance, the investment bank notes that monthly property taxes due to Colorado, New York and California are $10,000, $8,000 and $5,000, respectively. An accounting manager debits property tax expense for $23,000 and credits taxes payable for the same amount. On the payment date, the manager debits taxes payable for $23,000 (to bring the account balance to zero) and credits cash for the same amount. Accounting for property taxes is a permanent business practice because a corporation may have several properties in various locations. Local tax rules may vary, depending on the industry, the property's legal status and real-estate values recorded. A corporation that owns U.S.-based properties can estimate and pay fiscal liabilities on a monthly or quarterly basis. 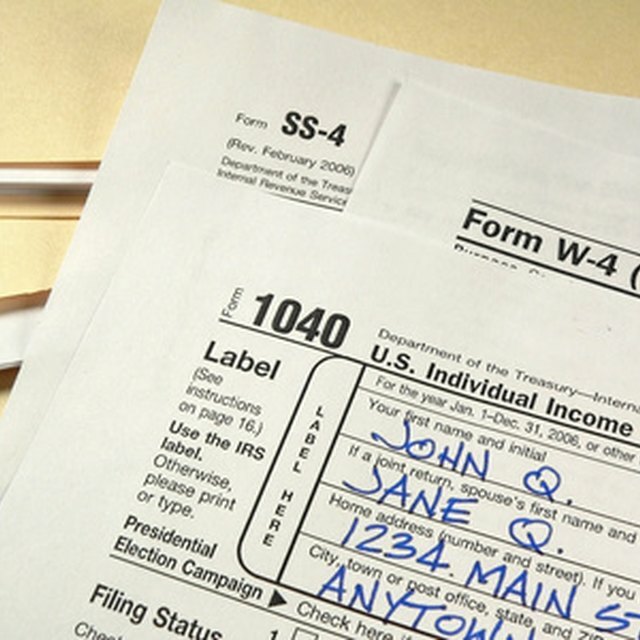 The IRS may require some companies to prepare and file consolidated tax reports at the end of the year. Property taxes can be significant expense items for major business organizations. In practice, a multinational company may form a joint group between corporate accounting and tax departments to compute and report taxes owed. Property tax accountants also can evaluate fiscal data, detect operating trends and recommend tax-saving solutions to senior management. Operating trends may be increased or decreased in taxes paid over five or 10 years. Differences between tax and financial accounting depreciation rules may affect property tax accounting. A corporate accountant typically depreciates property, such as equipment or machines, before calculating taxes. In accounting parlance, depreciation means spreading the cost of an asset over the span of many years. Differences in financial accounting and tax depreciation rules may impact tax amounts. For instance, a bank buys a new car worth $10,000 and wants to depreciate it over five years. The IRS requires the company to depreciate the car over 10 years. The annual depreciation expense is $2,000 in the company's books ($10,000 divided by 5) and $1,000 in tax records.